AUBG embraced diversity once again in the middle of summer with the International Mathematics Competition (IMC) 2016. 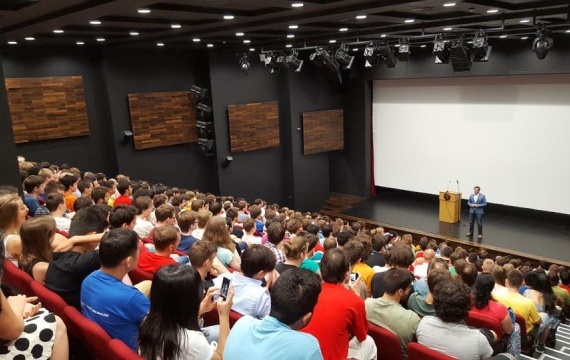 380 students from 48 countries took part in the world’s biggest mathematics contest for university students hosted at AUBG and organized by University College London July 25-31. The jury handed more than 100 awards in total to distinguished participants at the closing ceremony on July 30. Mikhail Grigorev from Moscow Institute of Physics and Technology, Stanislav Ershov from the St. Petersburg State University, Martin Vodicka from Comenius University, Bratislava and Tom Kalvari from the Israeli National Team of Tel Aviv University took home the grand first prizes. “We have some of the best young mathematicians in the world coming here,” said Professor John Jayne, president of IMC. But in addition to being a prestigious competition that helps students in their career and PhD pursuit, IMC also serves another important purpose, Jayne said. “For a lot of [students] this is a wonderful opportunity to meet people from different countries, from other cultures,” he said. 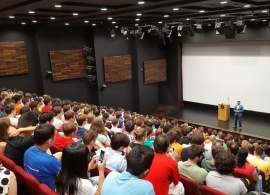 And AUBG turned out to be an appropriate venue for an event of such scale and diversity. While in Bulgaria, The IMC participants had a chance to not only test their mathematical skills but also go on trips to UNESCO Heritage Site Rila Monastery and the natural cultural reserve and city-museum Melnik. Mathematicians from more than 200 universities from 50 countries have taken part in the past 23 editions of the International Mathematics Competition.